Every slice of Agate is unique. It occurs naturally in shades of white, blue, red, green, yellow, orange, brown, pink, purple, gray, black or even iridescent. Often Agate is dyed. Brightly colored Agate is rarely natural. Dying enhances the pattern of the stone. 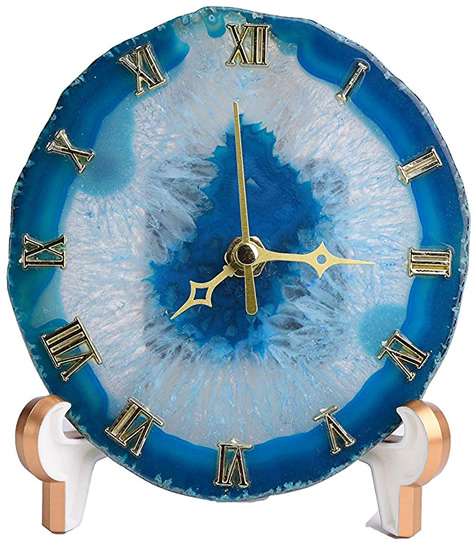 A clock made from a slice of agate. See the crystals? The stone forms in knobs. The knobs are cut into slices to bring out the pattern. 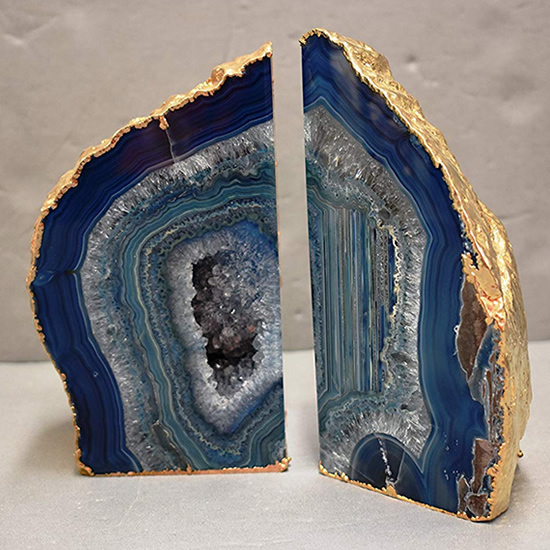 Have you ever seen a geode? 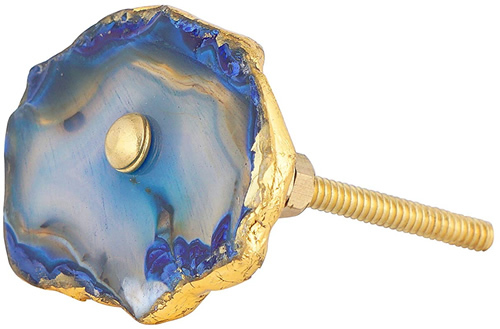 A geode is an agate sphere. The outside is not very attractive. But, when sliced, you can see the beautiful banded pattern. 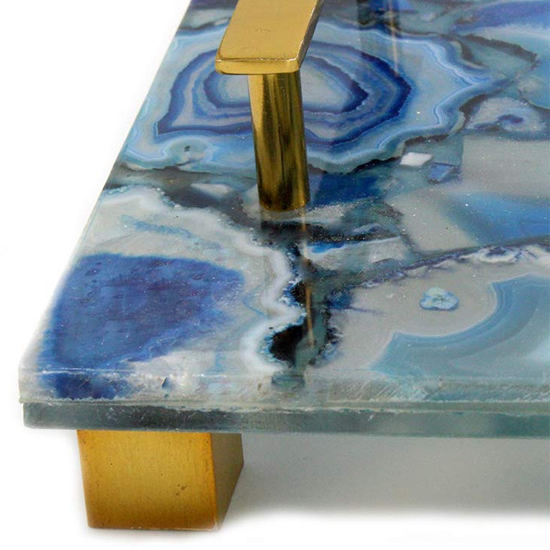 Then, if the surface is polished, it really brings out the natural beauty of the crystalline structure. 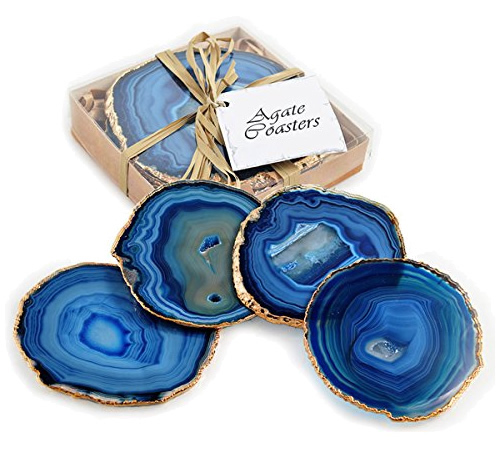 Agate is formed when layers of silica fill the empty spaces left in volcanic stone. The layers form in stages, which creates the bands. If a hollow is only partially filled, quartz crystals form in the void left. 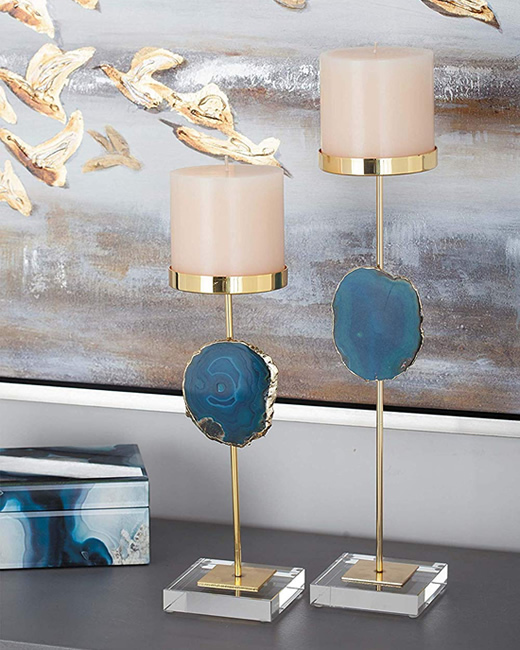 Agate has been used as decoration for centuries. It is durable and not too expensive. 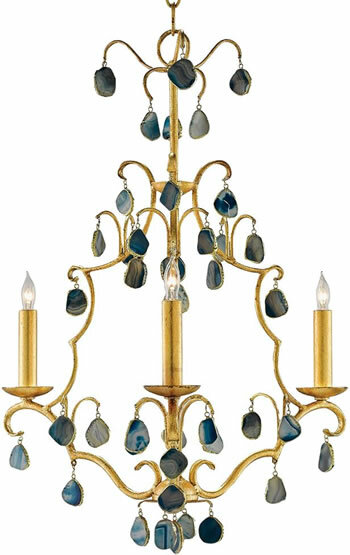 Instead of crystal drops, this chandelier from Kathy Kuo Home is dressed with slabs of blue onyx bound in gold leaf. 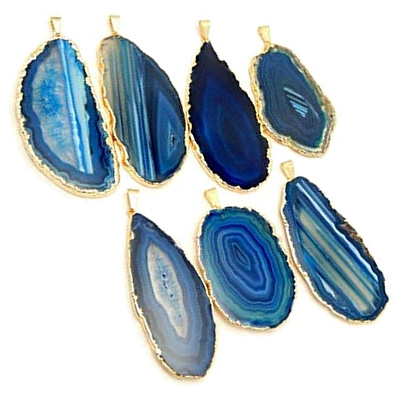 Agate Drops bound in gold could be used on a chandelier! This entry was posted on January 26, 2019, in Blue and White, Redecorating and tagged Blue and White. Bookmark the permalink.